and also throw some light on what they need to do to transition smoothly through these updates. the latest service update. It does not work with SharePoint 2010.
the latest service update. It does not work with SharePoint 2013. As part of the Dynamics CRM Online December 2012 Service Update, I am delighted to announce that we have upgraded both these List Components to enable multi browser support. Now, let’s talk about what type of issues will occur due to CRM Online and SharePoint Online service updates and most importantly how to fix these issues. 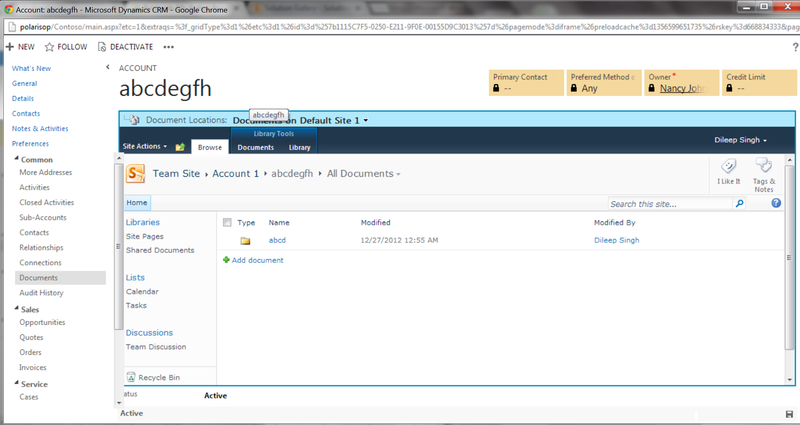 You will need to upgrade to the multi browser version of the SharePoint List Component which you are using. For example: – If you were using SharePoint 2010 list component then upgrade to SharePoint 2010 List Component (multi browser version) and similarly if you are using SharePoint 2013 List Component then upgrade to the multi browser version of SharePoint 2013 List Component. Please see “How to Upgrade List Component” section below for step by step process for upgrading your list component. i) Configuring doc management: – Infinite loading icon will be shown while configuring document management from Document Management settings. ii) Creating auto folders for a new record: – If Document Management is already configured, then while creating automatic folders for a new record, the page will go into Infinite loading and folder will not be created. b) Document grid doesn’t render rather an Iframed SharePoint site comes: – For already created folders, instead of the document grid, whole IFramed SharePoint site will be visible. You will need to upgrade to the SharePoint 2013 List Component. Please see “How to Upgrade List Component” section below for step by step process for upgrading your list component. Important: Only upgrade to SharePoint 2013 List Component after your SharePoint upgrade is finished. 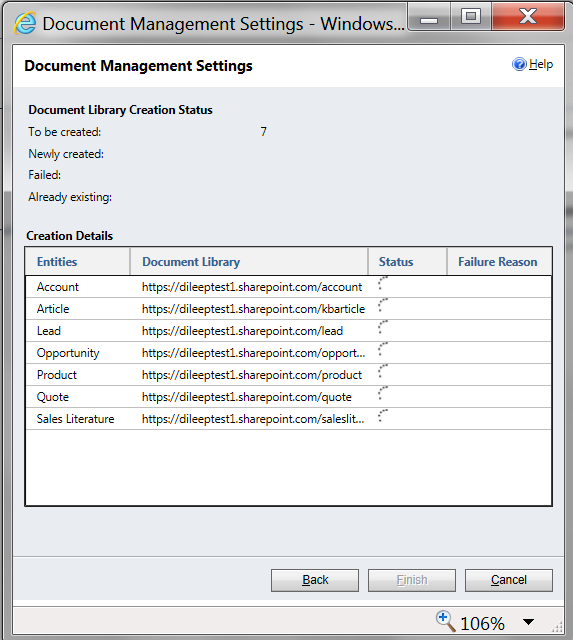 c) SharePoint grid is working fine, however when searching for a document no search result is displayed and the search result page goes into infinite loading. d) SharePoint grid is working fine, however on clicking on a PowerPoint document the document doesn’t open, all other document types work fine. Below are the steps you need to follow in order to upgrade your list component. a) Go to the solution gallery of the site collection where your current list component has been installed. b) Select the existing list component (wsp) and deactivate it. c) Now delete this list component file. d) Once it is done, upload the new list component (wsp) file. e) Activate this new list component. Please make sure that you have followed these steps correctly and in the solution gallery list component is shown as “activated”.